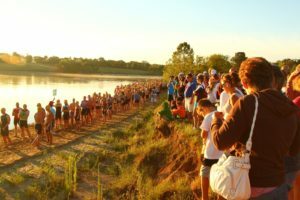 The idea of the Cowboy Up Triathlon started in 2011, not too long after Mason’s celebration of life. As his longtime friends, we knew we had to do something in his honor, and in the honor of all of those who have fallen for our Freedom. Of course, not just any event would do. Matt Mason was the guy who could always get people to do something they never thought possible. He convinced so many of his non-athletic friends to take part in the sport of Triathlon by making one little dare, “Cowboy Up”. Race Director Steve Zimmer certainly remembers the specific moment when Mason made his dare to him one fateful day in San Diego, and that became a day that would change the course of his life, and the lives of many, for the better. That’s how the Cowboy Up Committee was formed. On our inaugural race day back in 2012, we just hoped to raise enough money to break even, and were hopeful about setting up a scholarship in Mason’s name. That first year we couldn’t believe it when we sold out of the 299 registrations that were offered and raised over $10,000. Since 2012, we have grown the race not only in numbers but in funds raised as well. On race day 2018, we had 375 participants and raised $33,000. Proud to say the total amount raised to date is almost $150,000! We now have a fully endowed scholarship at MCC and a scholarship well on it’s way to endowment at Northwest Missouri State University (GO BEARCATS!). 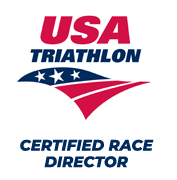 In 2019 we are offering not only the original Sprint Distance Triathlon, but also added a Long Distance Triathlon as well. We have set our sights on selling over 600 registrations and raising over $40,000 by August 4, 2019. We have also added the following to our event since our first year: Parachute Jumpers, 21 Gun Salute with Honor Guard, Cannon to start the race, Kids Fun Run, Collegiate Wave and much more. That said, we are far from done yet. 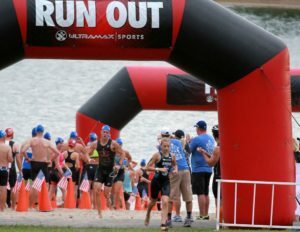 Without the support of our families, friends, volunteers, participants, donors and sponsors, this triathlon would not be the huge success that it is. Thank you for helping us remember Matt with a sport he loved so much.